One of Zurich’s biggest Christmas markets takes place right in front of the opera house on Sechseläutenplatz. Just a few steps from Lake Zurich, the Zurich “Christmas Village” enchants visitors – young and old alike. Around 100 market stalls form a cozy Christmas village in front of the spectacular backdrop of the opera house and entice visitors to stroll and mull-wine fun. In the market stalls changing local designers offer unusual jewelery and finds and a colorful culinary offer ensures the physical well-being of the visitors. Whether international specialties or Swiss classics in the Fondue-Stube: the focus is on the comfortable togetherness in a Christmas atmosphere. In the winter of 2017, the Zürcher Wienachtsdorf will get a new highlight for children with the Elfendörfli: a Wienachtsdörfli on the terrace of the opera house with a view of the Christmas village and the Sechseläutenplatz. The Elfendörfli consists of small and large huts where children can celebrate the pre-Christmas season in their own way, eg with Märlistunden, theater, face painting, crafting lessons and workshops for decorating chocolate bears. An ice rink attracts small and large skaters to make their pirouettes on the Sechseläutenplatz. Groups can also have fun in a cozy atmosphere while curling. 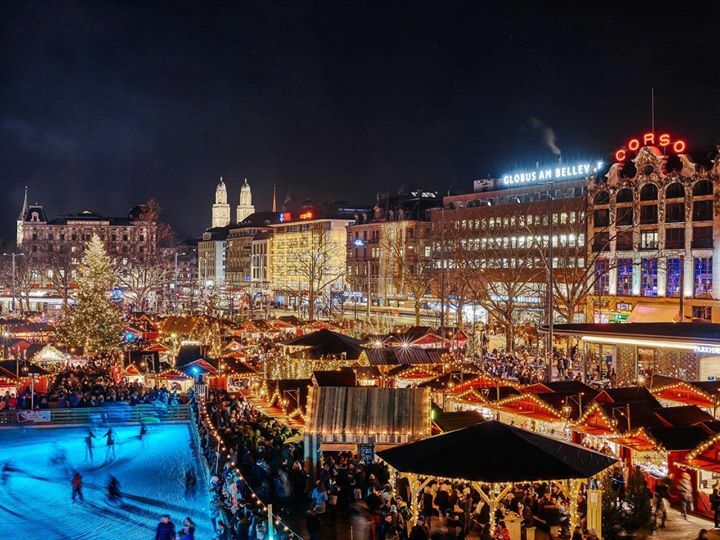 The Zurich Christmas Village is a meeting place for Christmas romantics, city tourists, families and visitors from all over the world. In addition to much beautiful design and other gift ideas, the anticipation of the festival of festivals with culinary delights, many surprise guests and lovingly decorated details is celebrated.